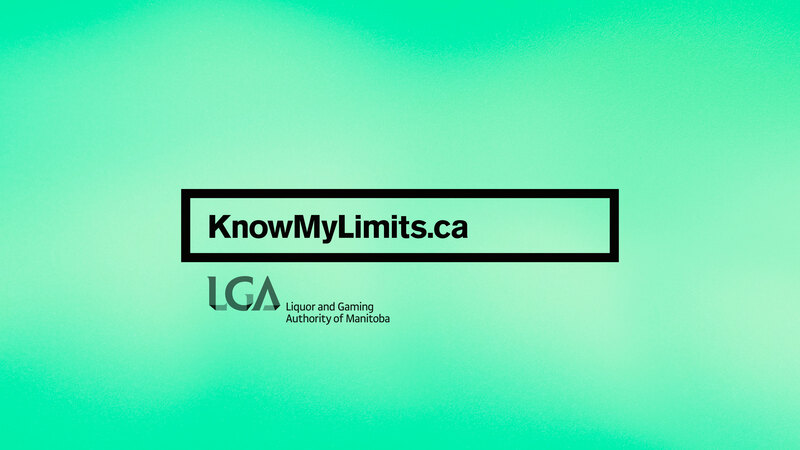 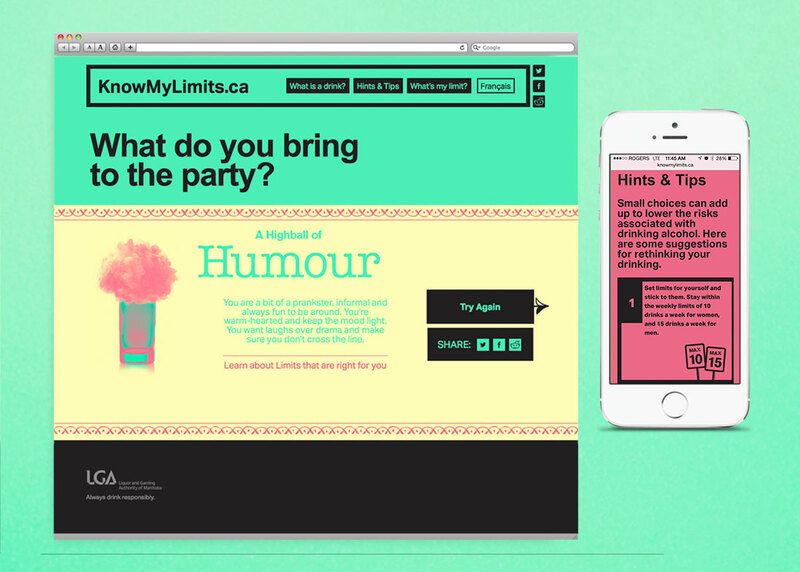 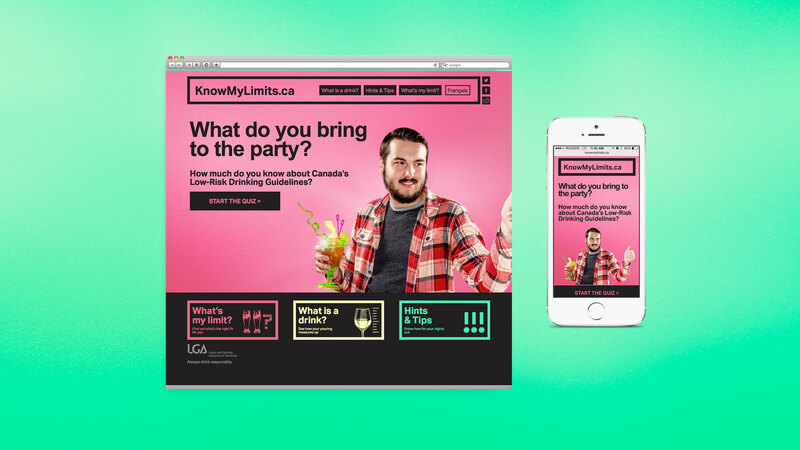 The Liquor and Gaming Authority of Manitoba wanted 18- to 24-year-olds to think about how and when they drink, by promoting Canada’s national Low-Risk Alcohol Drinking Guidelines. 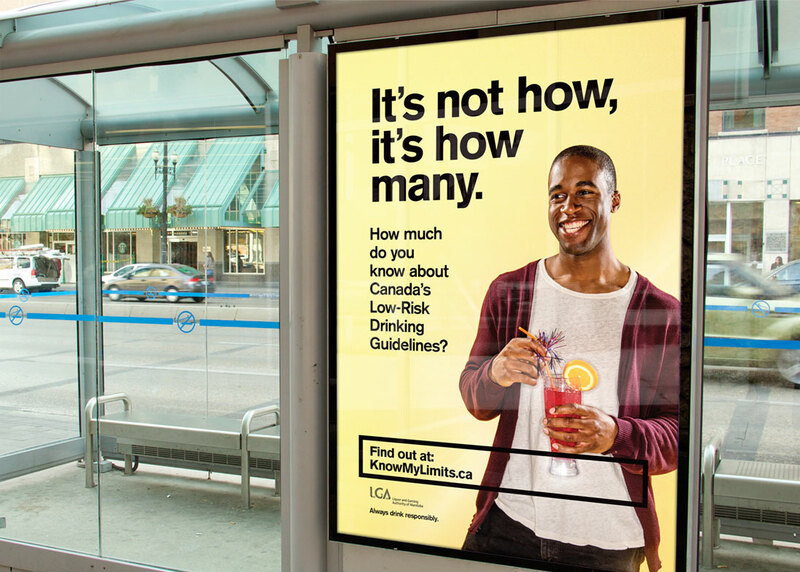 Following these guidelines helps Canadians reduce the long-term health risks of drinking, as well as the more immediate risks. 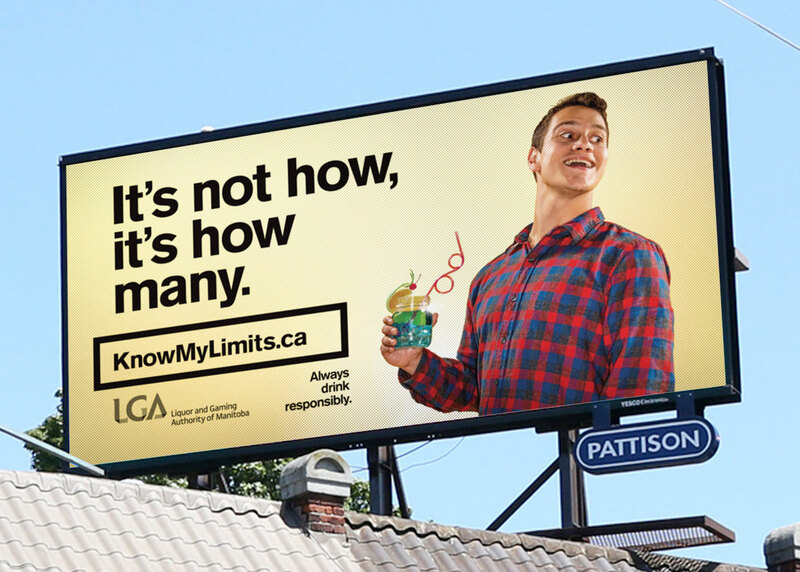 Relish came up with a campaign to communicate the guidelines centred on “It’s not how, it’s how many,” showing young adults imbibing in a silly way. 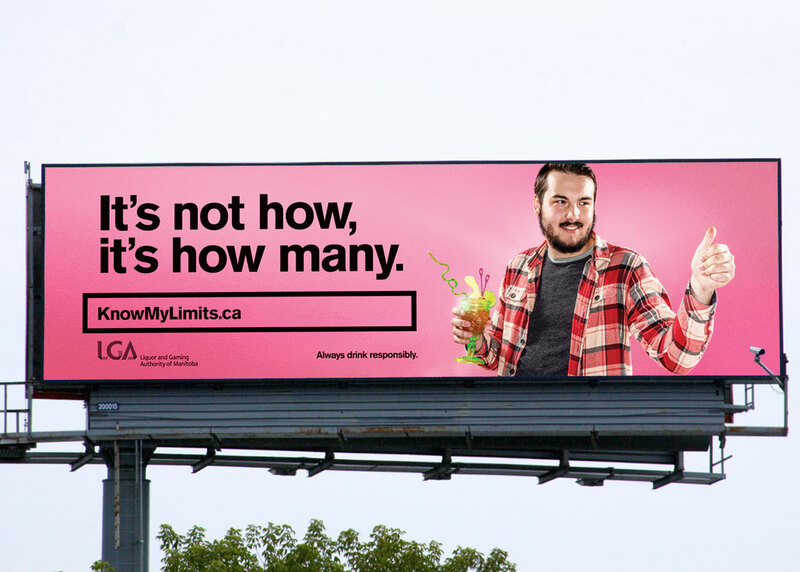 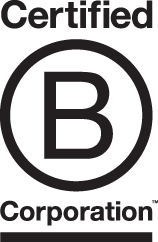 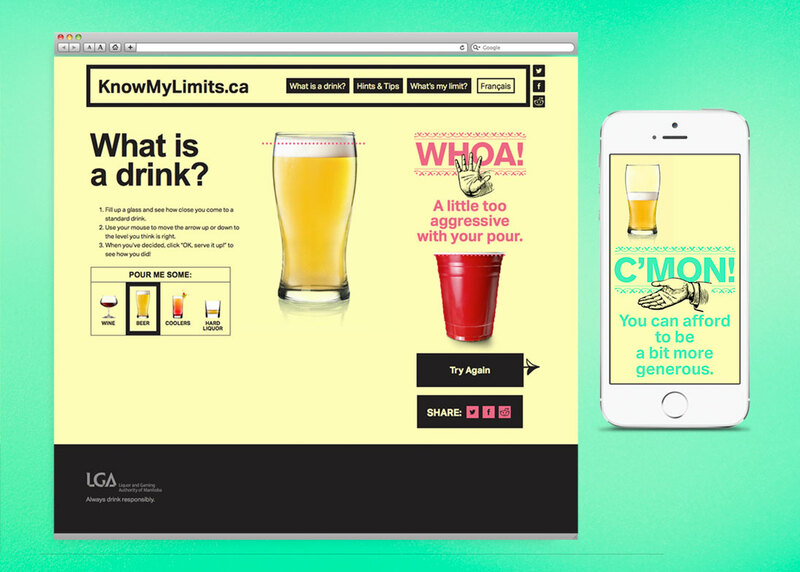 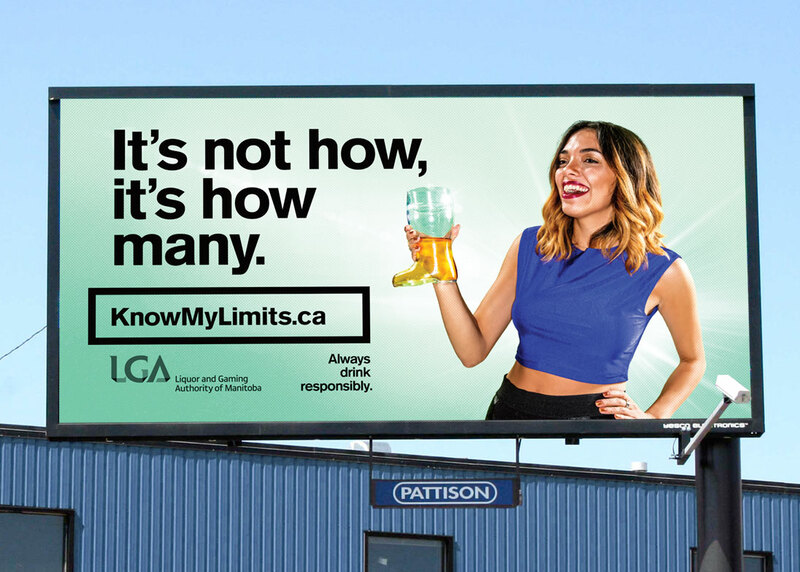 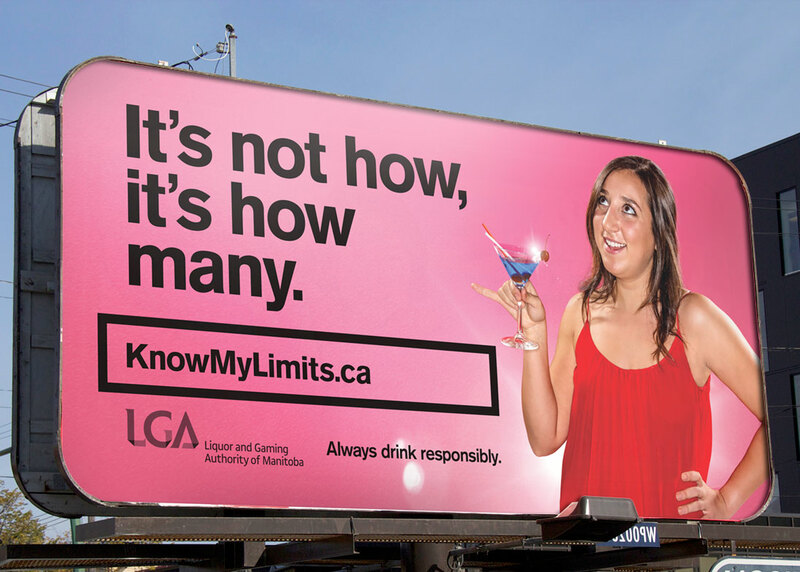 The campaign encourages young adults to keep track of the number of drinks they consume on a single special occasion and weekly basis, and to understand how much alcohol is contained in a standard drink. 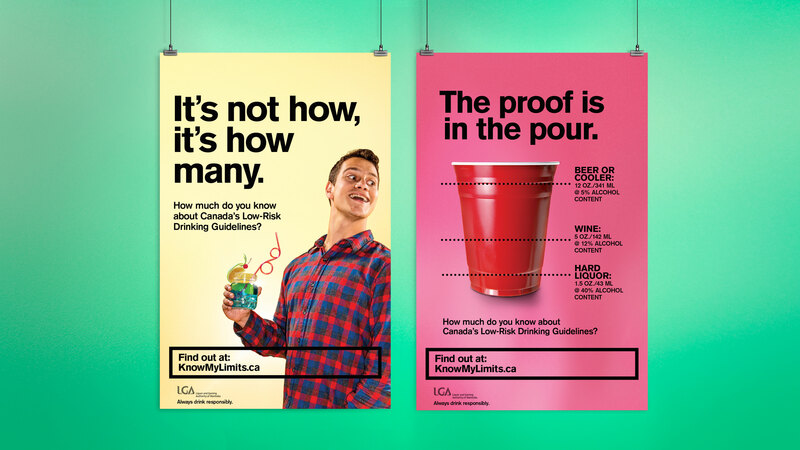 Media employed included billboards, transit ads, radio and an online quiz and interactive tool to test users’ drink-pouring talents.